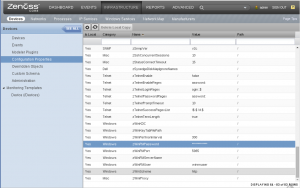 It just so happens, that sometimes you would like to add Windows client to Zenoss monitoring 🙂 . 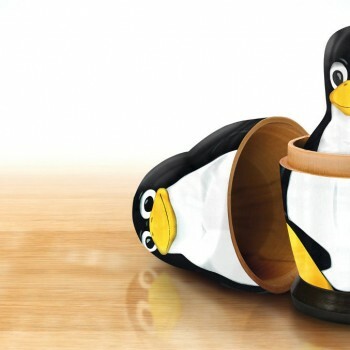 A person would think that this would be quite simple and similar to adding Linux client to Zenoss monitoring, but it is not. The SNMP Windows client Zenoss monitoring is very limited, in fact i could not get any useful information from my Windows client, so i switched to using WinRM service (Windows Remote Management) for Windows client Zenoss monitoring. The following guide will provide you with the information on how to add Windows client to Zenoss monitoring by using WinRM service to get the data from Windows client. The Windows client is running Windows Server 2008 R2. 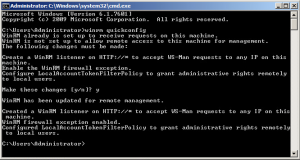 To successfully configure WinRM service on Windows 2008 R2 run below commands as an system administrator. 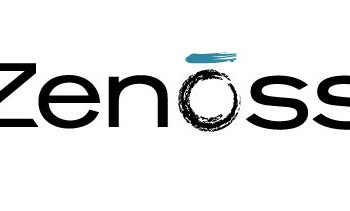 Let’s learn how to add Windows client to Zenoss monitoring! Firstly you need to allow incoming ICMP ping request since this is the way Zenoss checks if the system is online. 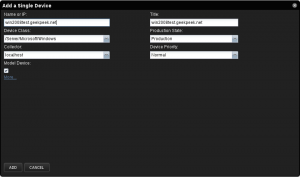 Enable rule “File and Printer Sharing (Echo Request – ICMPv4-In)”. Run WinRM quick configuration which adds a firewall exception, allows remote access to the machine for management and starts a WinRM HTTP listener. 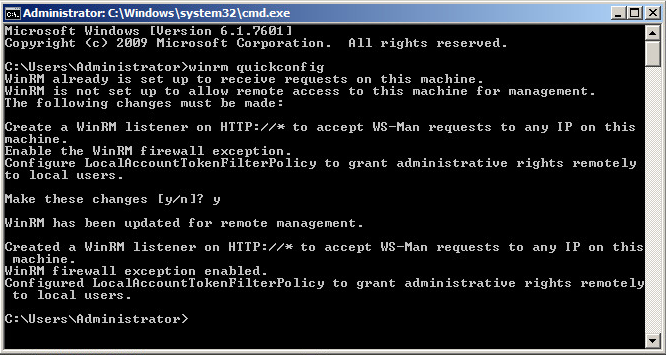 Run “winrm quickconfig” and press “y” as follows. Run “winrm enumerate winrm/config/listener” to make sure it is running and accepting connections as follows. Under “Configuration Properties” enter “zWinRMUser” and “zWinRMPassword” details. This user should have administrative rights on Windows Zenoss client machine. 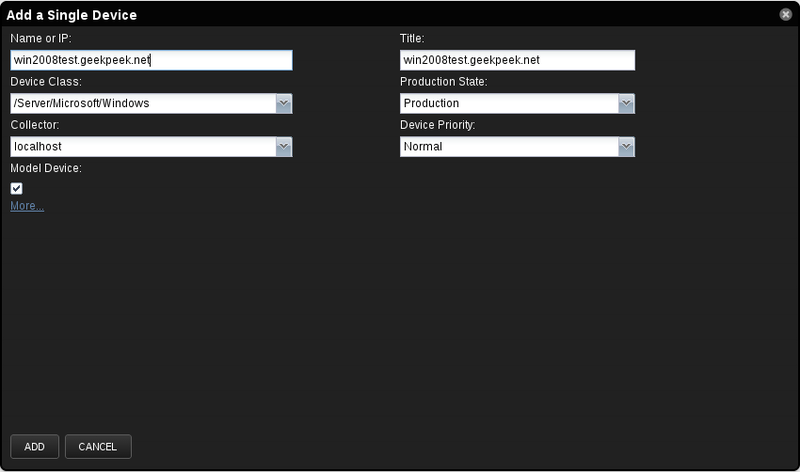 Next on the Zenoss Infrastructure page click “Add a Single Device”. Enter the Windows machine name or IP address. Make sure to choose the device class “/Server/Microsoft/Windows”! Voila, the Windows machine was successfully added to your Zenoss. The Windows machine should be modeled automatically – the filesystems and services should appear along with interfaces and processors. If you are worried about the security, you can read more HERE how to reconfigure WinRM to work over HTTPS. 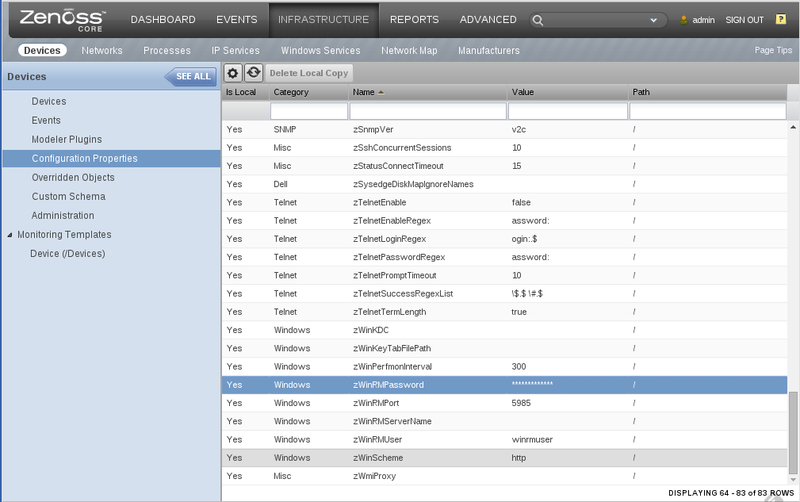 This is the end of my “Add Windows Client to Zenoss Monitoring” guide, wish you all happy Zenoss monitoring!